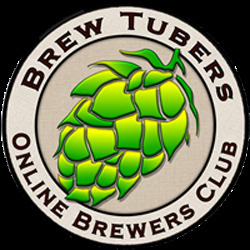 ← Homebrew Wednesday 56: A Saison Without Hops? Beer Review Blast! : What have I been drinking lately? Since switching my focus from craft beer to homebrewing two years I’ve found myself drinking and purchasing increasingly less craft beer. However, that does not mean that I’ve lost my interest in sharing my thoughts on craft beers that I’ve tried in the recent past with all who visit thebrewedpalate.com. In order to get back on the beer reviewing bandwagon I’ve decided to post my first “Beer Review Blast!”, a compilation of craft beer reviews and reflections in order to give you a picture of where my journey towards further palate development is currently standing. 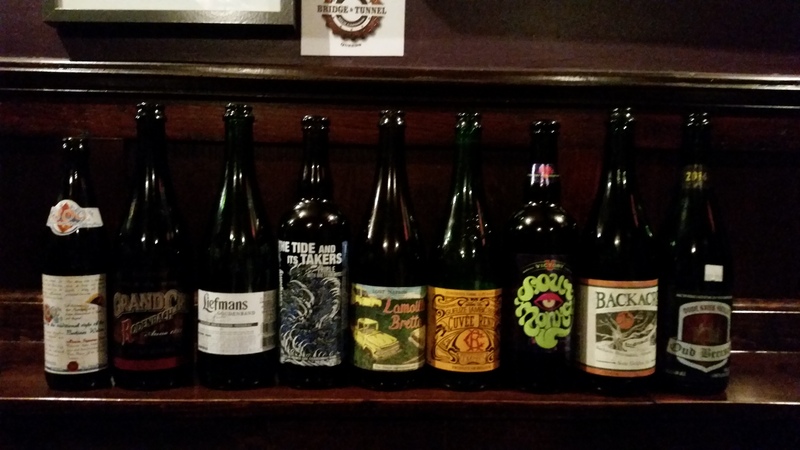 Drinking while brewing at Bitter and Esters 3/30/15: While brewing a Pliny the Elder inspired double IPA for a Brewminaries homebrew club dry hopping experiment my fellow homebrewers and I shared some great craft beers. First we tried a couple of the beers that I brought…Westbrook Gose: This was my first time trying it and I loved it. It was refreshing, tart, and had just the right amount of saltiness at mid-palate (8/10). Lawson’s Sip of Sunshine: A citrusy east coast IPA that lives up to the hype every time I’m lucky enough to drink it (8/10). 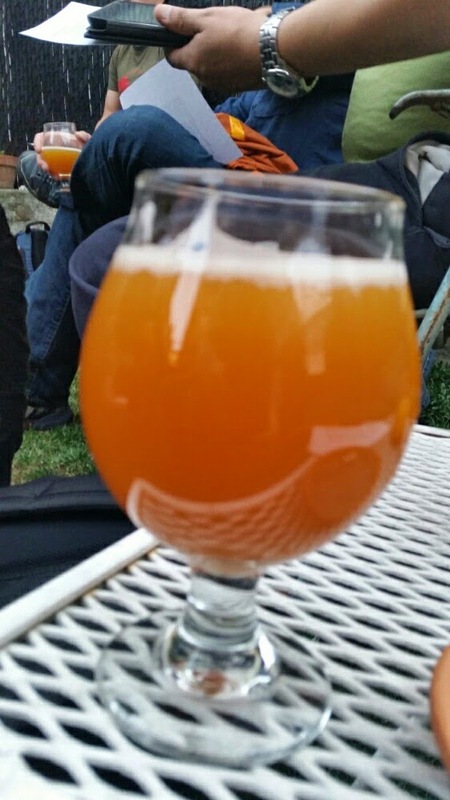 Grey Sail Captain’s Daughter double IPA: Though I’ve heard great things about this one, it had a dank quality that didn’t sit well with me and some of my fellow homebrewers (7.5/10-I hope to try it again and re-review it). 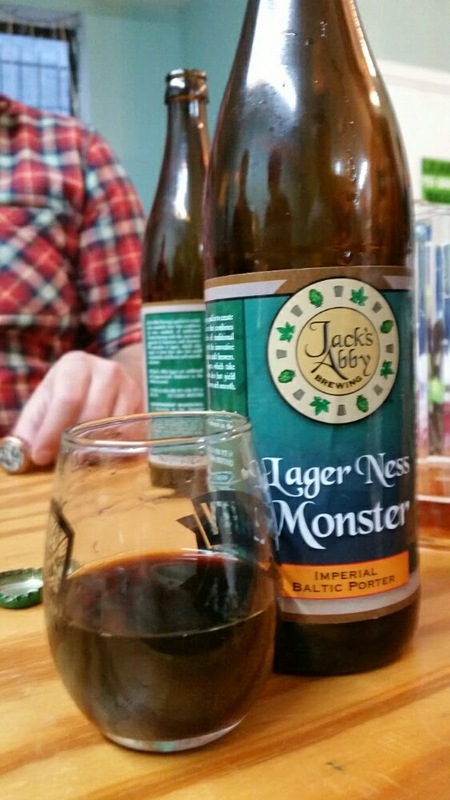 Two other notable beers from that night were from Jack’s Abby Brewing. TrIPL, a 10% abv “triple IPL” that’s bursting with citrusy hop flavors and finishes surprisingly smooth (not too bitter) (8.5/10). Then the star of the night Lager Ness Monster, a 15% abv “imperial baltic porter” which again had a complex flavor profile (chocolate, espresso, and dark fruits), and hid its alcohol content quite well (9/10). Post Passover Imbibing: After Passover i.e. 8 days without drinking beer, I cracked open three special beers. The first was Boulevard’s Imperial Stout X (w/ coffee): After being blown away by the base beer on tap a couple weeks before Passover I was eager to try this beer. Though the coffee was well integrated it took away from the rich imperial stout flavors that I enjoyed in the base beer. After talking to some friends I came to the conclusion that the base beer is better on tap because it’s carbonation is smoother than the more widely available bottle conditioned version (8/10). Next was Great Lakes Chillwave double IPA: unfortunately the four pack that I picked up wasn’t as fresh as I thought it would be and therefore I can’t give this sought after beer an honest review just yet. 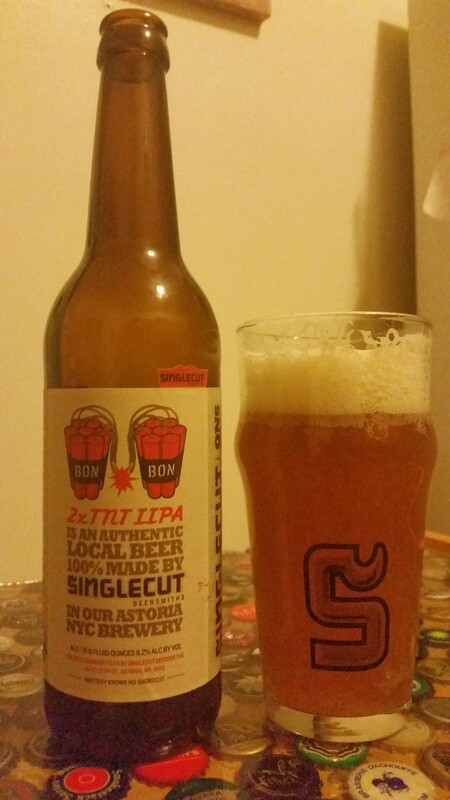 Number three was a local brew, Singlecut Beersmith’s Bon Bon 2xTNT IIPA: Singlecut has been pumping out some great IPAs since they began bottling a portion of their beers. This one was chock full of citrusy and tropical NZ hops and had a really nice smooth finish for a 143 IBU beer (8/10). Supporting my local craft beer bars: While at the Brewminaries April 2015 meeting I made sure to order and enjoy a couple of the great beers on tap at Covenhoven, a great craft beer bar / bottle shop in Prospect Heights, Brooklyn. The first was Other Half’s G is for Green, a juicy and quite drinkable double IPA brewed with citra, simcoe, and topaz hops (8.5/10). Then towards the end of the meeting I spotted Pizza Boy’s Sunny Side Up on tap and immediately ordered a glass. Second only to Goose Island’s Coffee Bourbon County Brand Stout, Sunny Side Up is one of the best coffee imperial stouts that I’ve had to date (9/10). Keeping up with new releases: Because of my recent tendency to drink more homebrew than craft beer I haven’t been putting as much effort into keeping up with buying newly released beers. However, I did buy a couple in last month or so and enjoyed both of them. 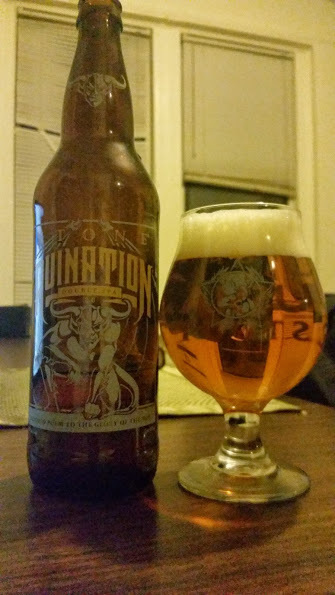 The first was Stone Ruination 2.0: Luckily I jotted down some tasting notes while imbibing this revamped double IPA… A more dank and fruit forward version of 1.0, but not as tropical as other DIPAs…Very west coast appeance (light gold, clearly filtered, off white head), flavor profile, and finish. In terms of the hops, I picked up mainly grapefruit and lemon notes, but some peach and pineapple were present in the finish as the beer warmed up and though faint they added a slight sweetness (juiciness) at mid palate. The higher abv was well hidden and the “ruinous” bitterness did build on my palate (8/10). The second beer was Brewery Ommegang’s Three Eyed Raven dark saison, the most recent release in their Game of Thrones series of beers. Having brewed a dark saison in the past year I was curious to taste this one and in the end was quite impressed with the beer’s balance of saison and dark fruit and malt flavors. I feel that Three Eyed Raven is the best beer of the series so far (8/10). Beer and Cheese Tasting: On May 7th I hosted a beer and cheese tasting for 12 of my close friends where we paired four cheeses from The Cheese Guy with four beers. Without going into ratings, all the beers are on my current list of go-to beers in their respective styles…The pairings were…Fresh Mozzarella w/ Weihenstephaner Hefe-weissbier, Swiss w/ Brooklyn Sorachi Ace saison, Bell’s Two Hearted IPA with aged Cheddar, and Gouda w/ Founders Porter. 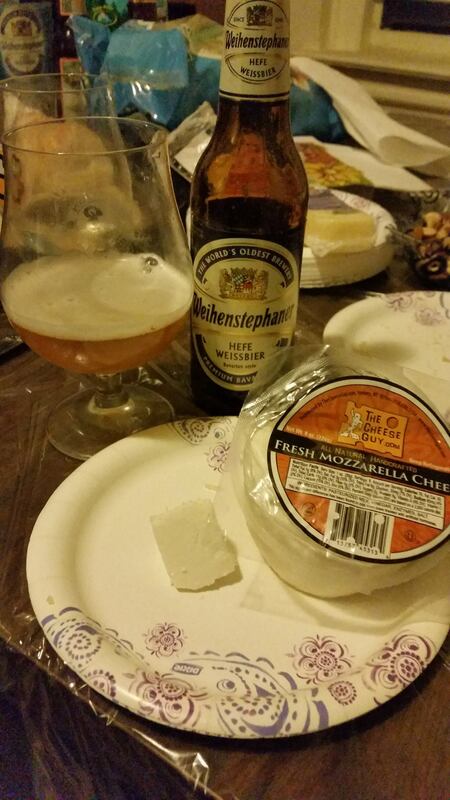 I enjoyed all of the pairings, but the fresh mozzarella was too mild tasting when matched up against the phenols and esters of the hefeweizen. Next time I’ll pair it with goat cheese or brie. Brent aka The Cheese Guy also recommended that I include a fifth “wild card” cheese when I host tastings in order to provide a contrasting pairing option. 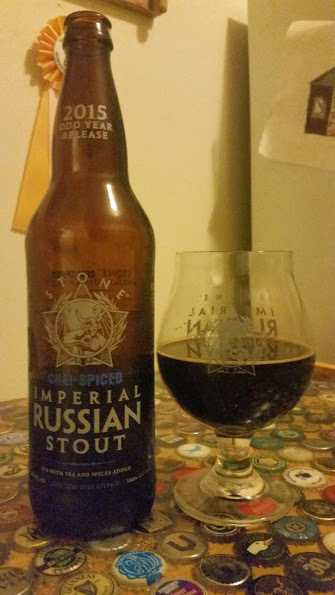 Stone IRS and Chai IRS: After acquiring a couple bottles each of these sought after Russian Imperial Stouts I invited a friend whose favorite RIS is Stone IRS over for a side by side tasting. True to form the “Classic Release” lived up to its reputation with a dependably complex flavor profile which included dark chocolate, cocoa powder, espresso beans, toffee, and some dark fruit esters. Though it could use a year to age I was pleased with this year’s release (8/10). Then it was time to dive into the “Odd Year Release” aka Chai Spiced IRS. To me this beer tasted like a Starbucks “dirty” chai latte (chai latte w/ a shot of espresso). It had a creamy full body that was chock full of chai tea flavors. Despite the presence of some coffee and chocolate in the finish, I feel that this beer was not as balanced as I hoped it would be. I’m curious to see how it ages, but for now I’d advise drinking it in small quantities and when possible pairing it with chocolate forward desserts to bring out the base beer (7.5/10). 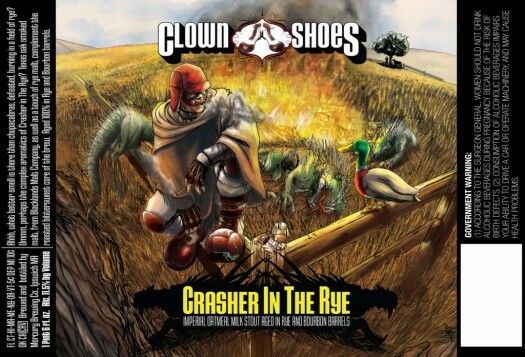 Clown Shoes Barrel Aged Beers: Having heard great things about Clown Shoes Brewing’s barrel aged beers I was excited when my older brother invited me over to try a few of them. The beers that we tried were Extremely Angry Beast, The Peace That Money Can’t Buy, and Crasher In The Rye. Sadly I didn’t jot down tasting notes for any of them, but I chose to include them in this blog post for the following reason. 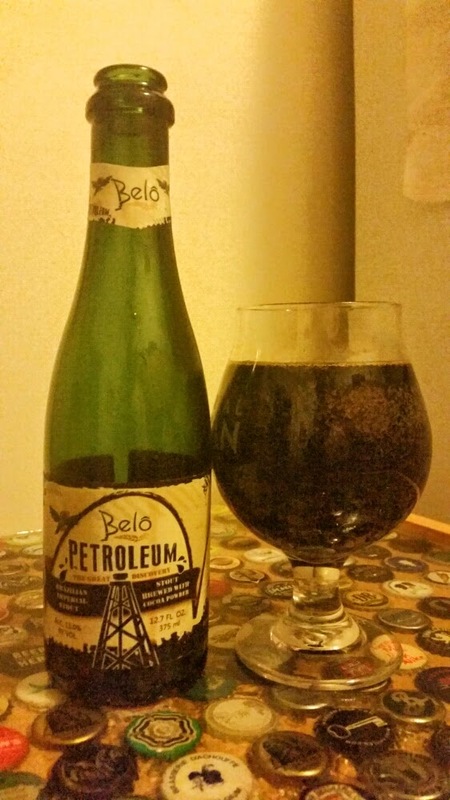 For me they all hit the mark in terms of appearance and flavor complexity, but the flavors were a bit disjointed and lacked the cohesive / rich complexity and wow factor of many of the well regarded big barrel aged beers that I’ve come to love over the past few years (e.g. Firestone Walker’s barrel aged beers). 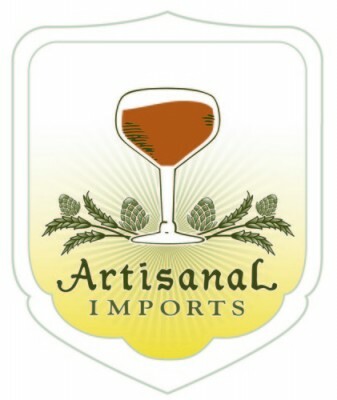 I’m not sure what rating to give them based on my personal experiences, but all being said and done I’d still recommend them to fans of barrel aged beers. Sour Night at the NYCHG BJCP class: (see pic above) As a member of the New York City Homebrewers Guild I decided that 2015 would be the year that I’d finally sign up for their BJCP (Beer Judge Certification Program) class. Beyond learning about the technical aspects of brewing processes, beer off-flavors, and ingredients we’ve been tasting and evaluating 3-5 beer styles per Tuesday night meeting (session). This week’s (June 9) was special because it was all about sour beers (craft and home-brewed versions). In all we sampled 9 commercial beers, 6 of which I hadn’t tried before, and 2 home-brews (brett saison and belgian pale ale). The 3 commercial beers that I had tried before this meeting were Rodenbach Grand Cru (my favorite flemish red), Weihenstephan Professor Fritz Breim 1809 berliner weisse (a refreshing well balanced example of its style), and Liefman’s Goudenbond (a complex 8% ABV oud bruin, perfect for dessert). Of the six remaining beers Lindeman’s Cuvee Rene was the only beer that got negative reviews due to it’s being skunky (green bottle). Though once the skunk volatilized the beer was more enjoyable, but didn’t have as much of the complex funk and bright wheat/citrus character that I’ve experienced in other gueuzes. The remaining beers were: Victory’s recently released Sour Monkey (a funky, bright, and drier finishing version of Golden Monkey), Oud Beersel Oude Kriek (Vielle) (amazing cherry flavor with just the right amount of funk/tartness), Anchorage The Tide and Its Takers (complex and funky, but a bit boozy), Lost Nation Lamoille Bretta (bright / refreshing lemon and funk; could use a bit more saison esters and spice), Black Acre Sour Golden Ale (brett forward with lemony and bready malt sweetness and earthy/herbal hop notes in the finish). Upcoming Reviews: I recently got my hands on four variations of Jack’ Abby Brewing’s Framinghammer baltic porter and hope to review them in the coming days/weeks. I hope you enjoyed my first Beer Review Blast!. Feel free to comment below on the beers and the post in general. Cheers! This entry was posted in Beer Reviews, Craft Beer Advocacy and tagged Anchorage The Tide and Its Takers, Beer and cheese tasting, beer reviews, Bitter and Esters, bjcp class, Boulevard Imperial Stout X, Clown Shoes Crasher In The Rye, covenhoven, Jack's Abby Lager Ness Monster, Jack's Abby trIPL, Liefman's Goudenbond, Lindeman's Cuvee Rene, Lost Nation Lamoille Bretta, NYC craft beer, Ommegang Three Eyed Raven, Other Half G is for Green, Oud Beersel Oude Kriek, Pizzy Boy Sunny Side Up, Rodenbach Grand Cru, Singlecut Bon Bon 2xTNT IIPA, Stone Chai Spiced IRS, Stone IRS, Stone Ruination 2.0, Victory Sour Monkey, Weihenstephan Professor Fritz Breim 1809 berliner weisse, Westbrook Gose. Bookmark the permalink.